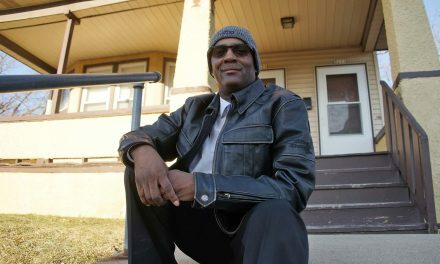 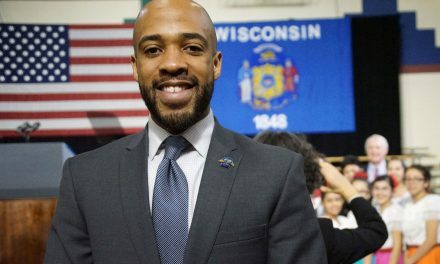 The Milwaukee office of the U.S. 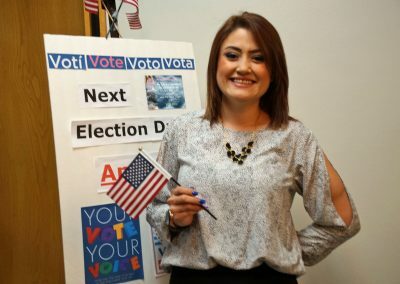 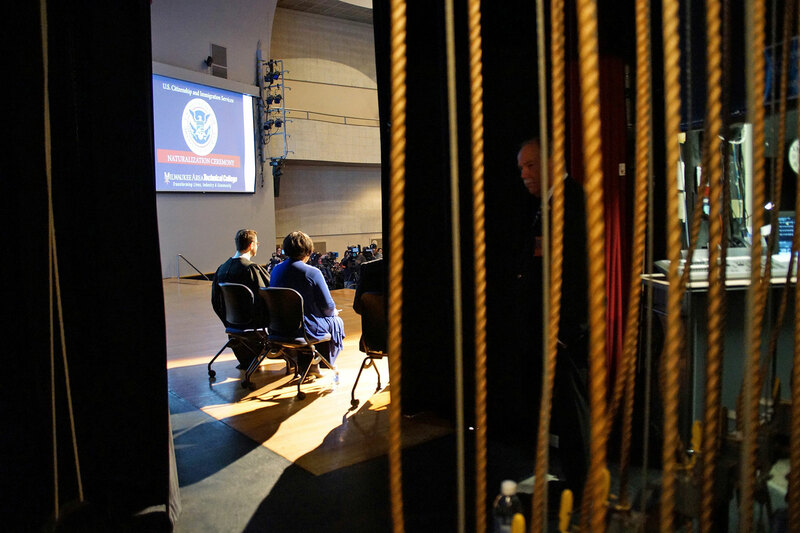 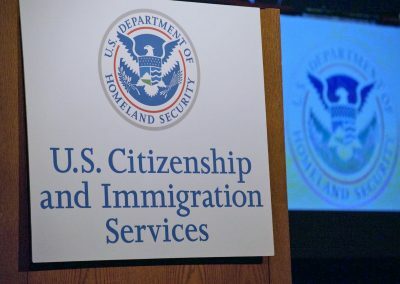 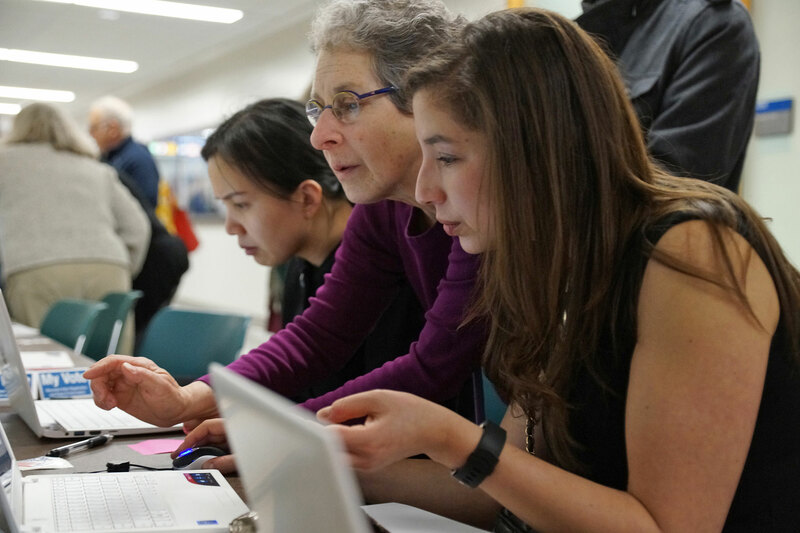 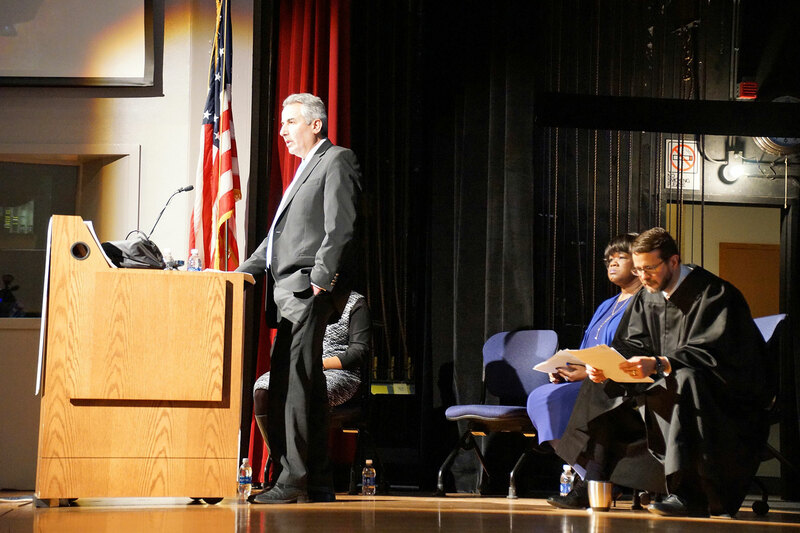 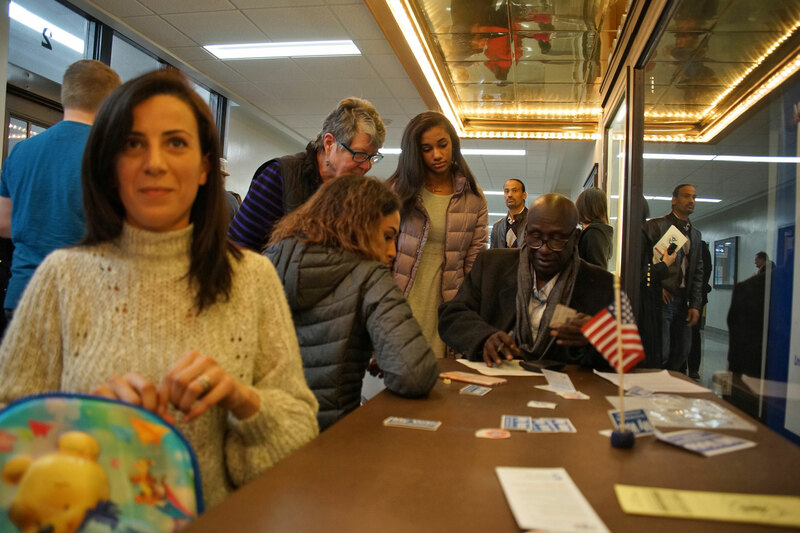 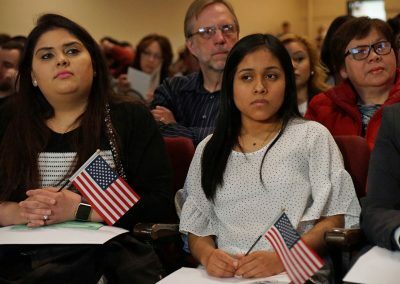 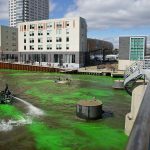 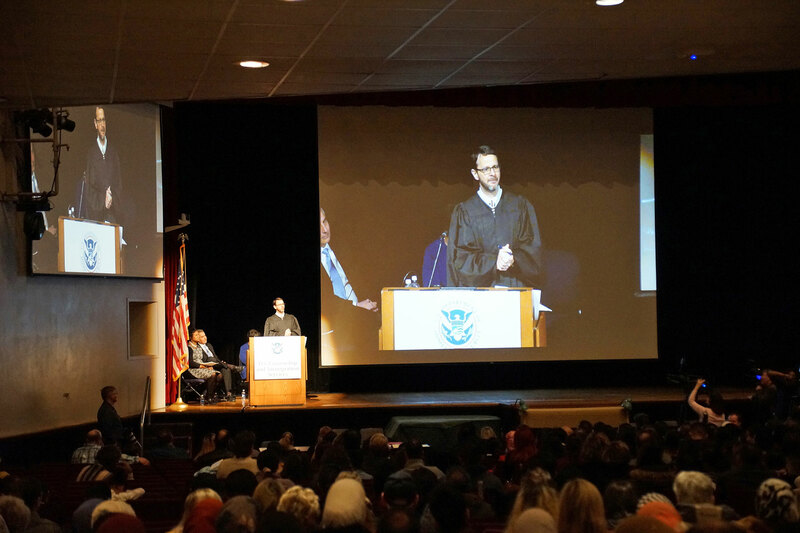 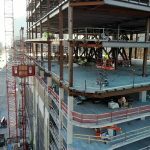 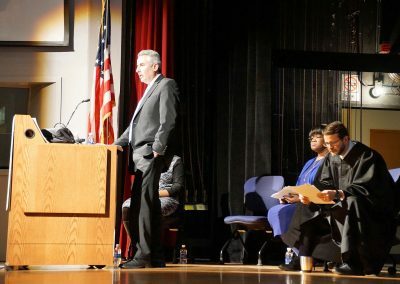 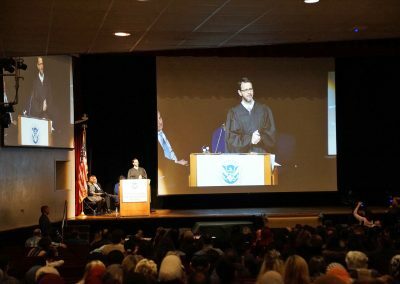 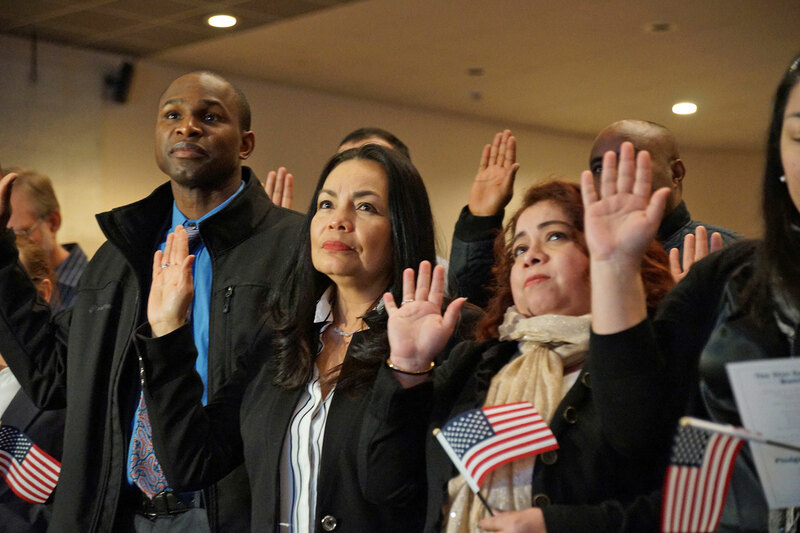 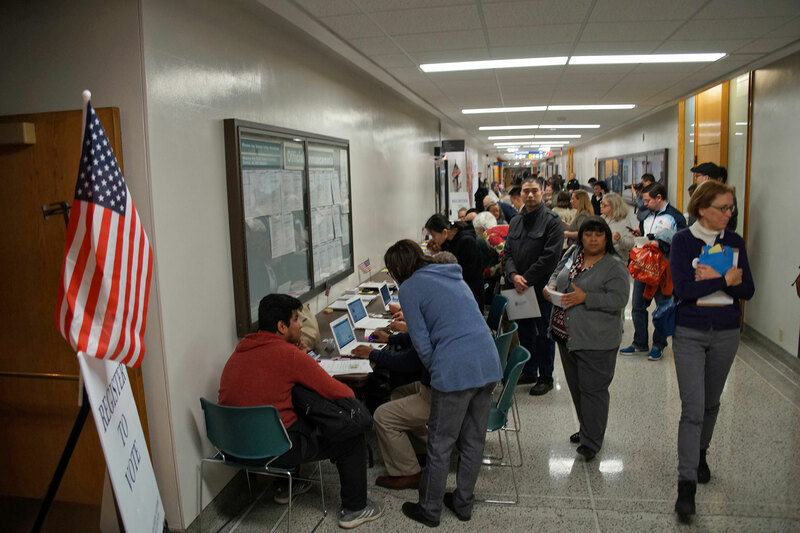 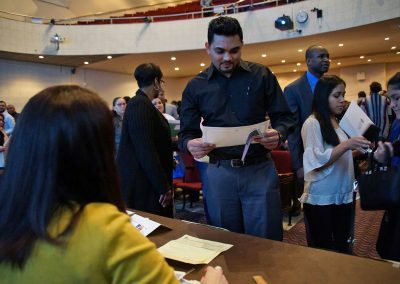 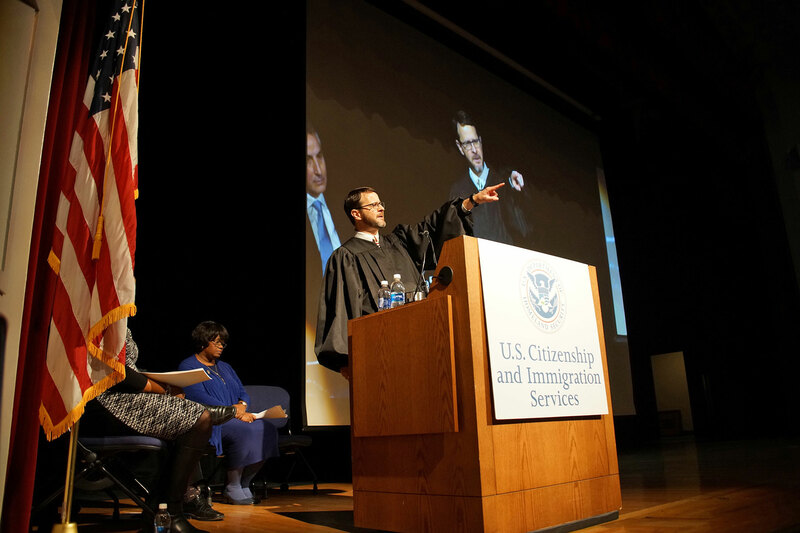 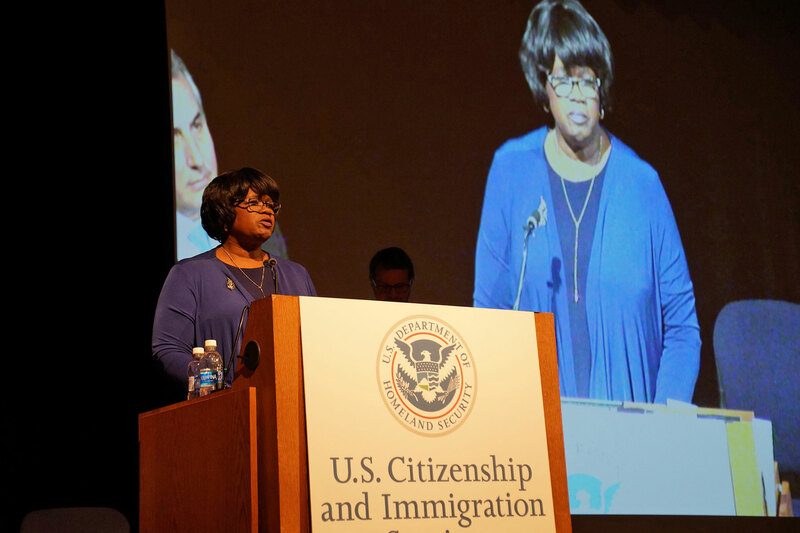 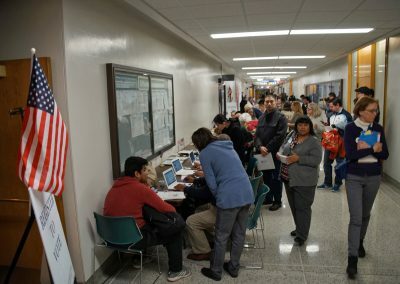 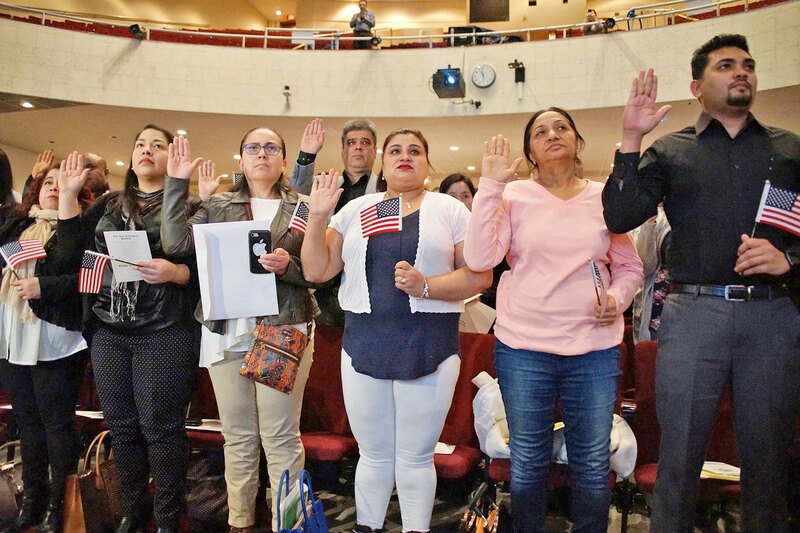 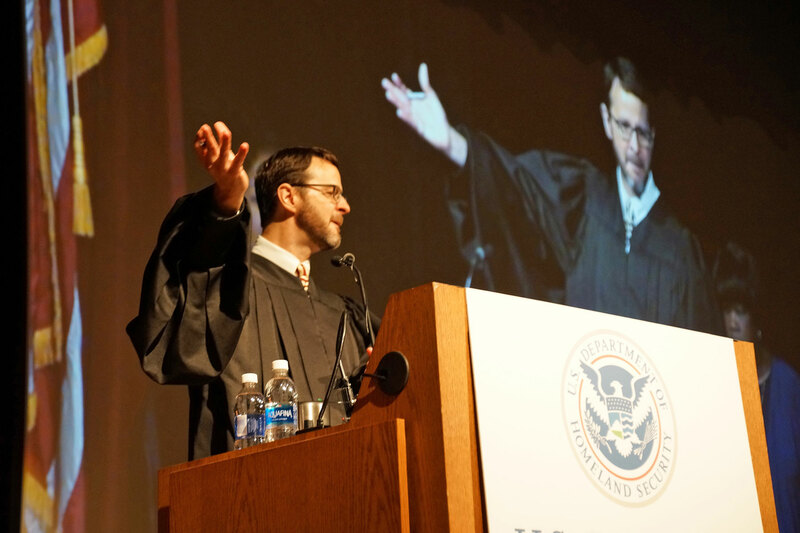 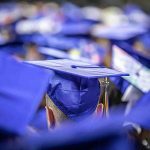 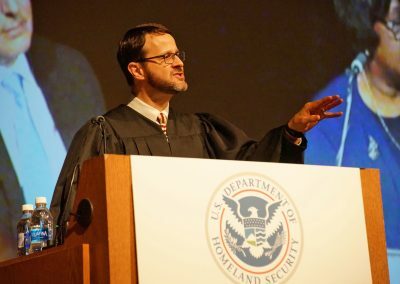 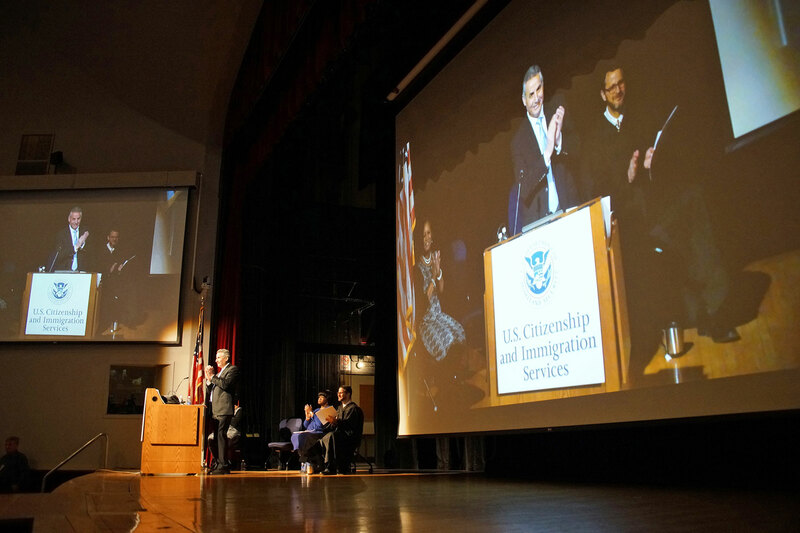 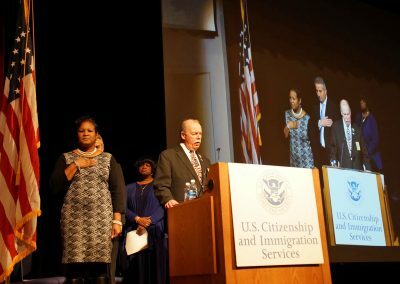 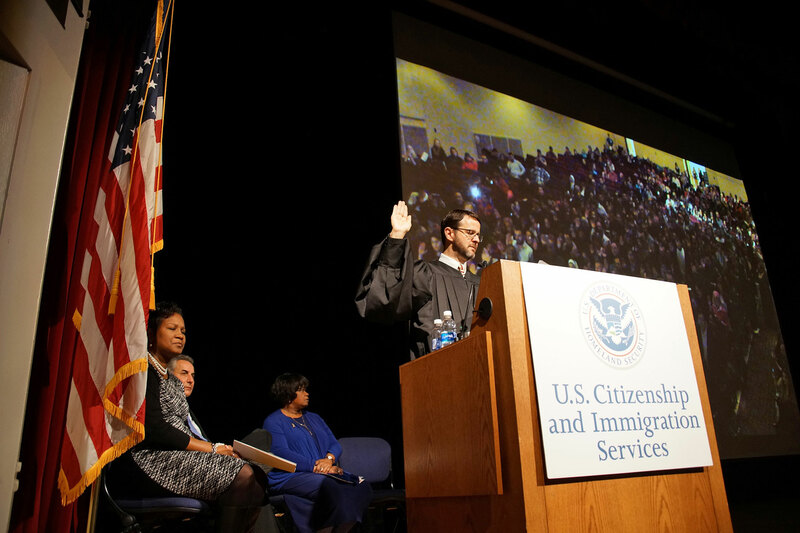 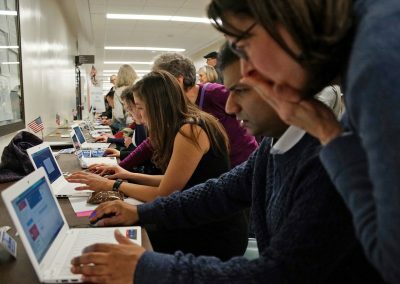 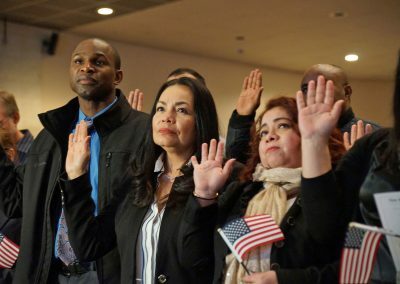 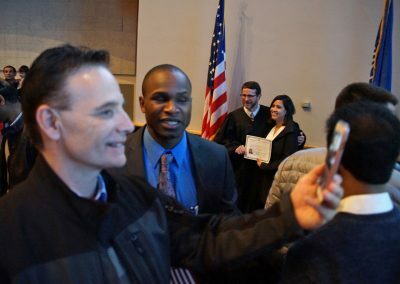 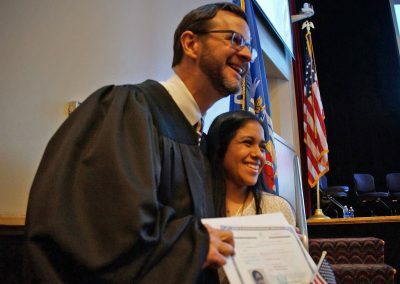 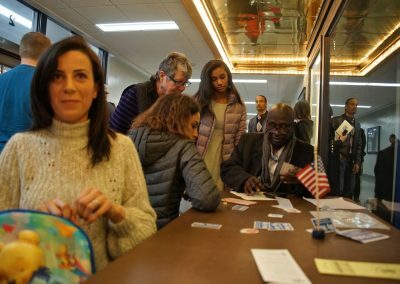 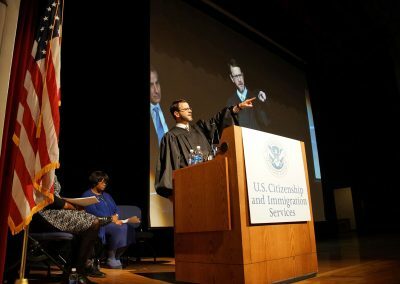 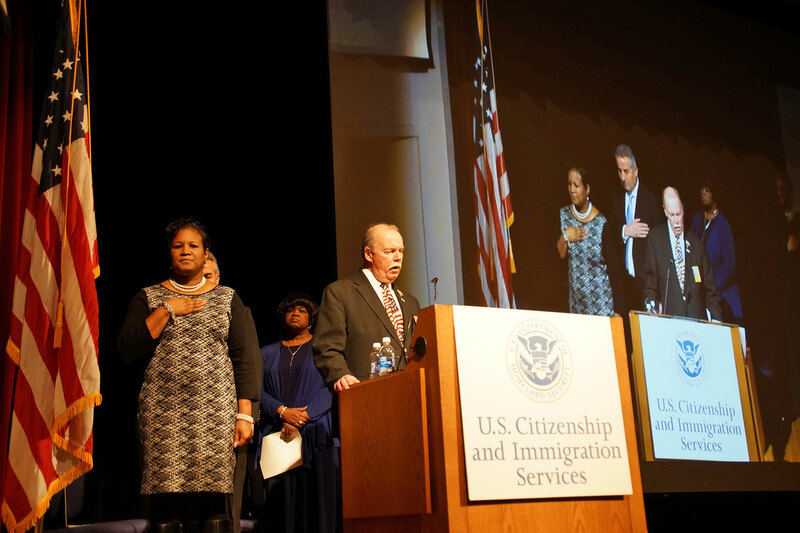 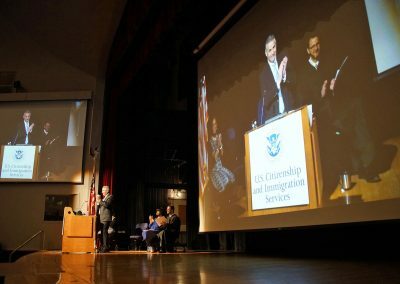 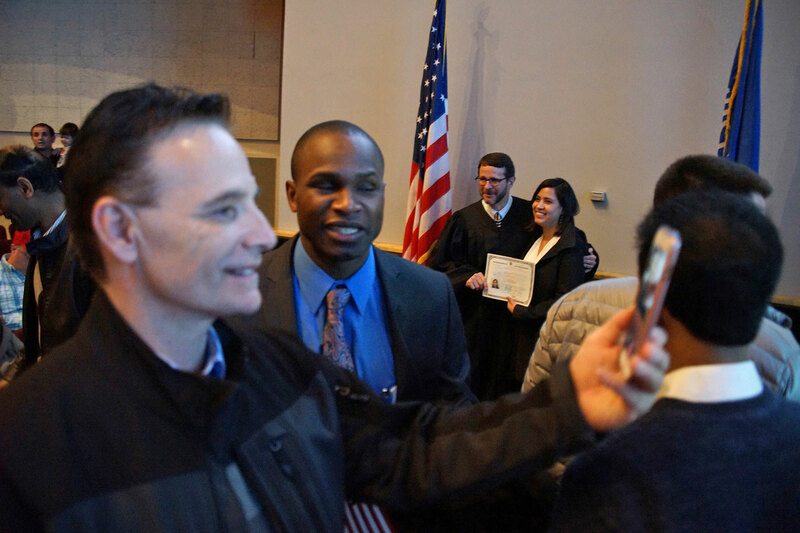 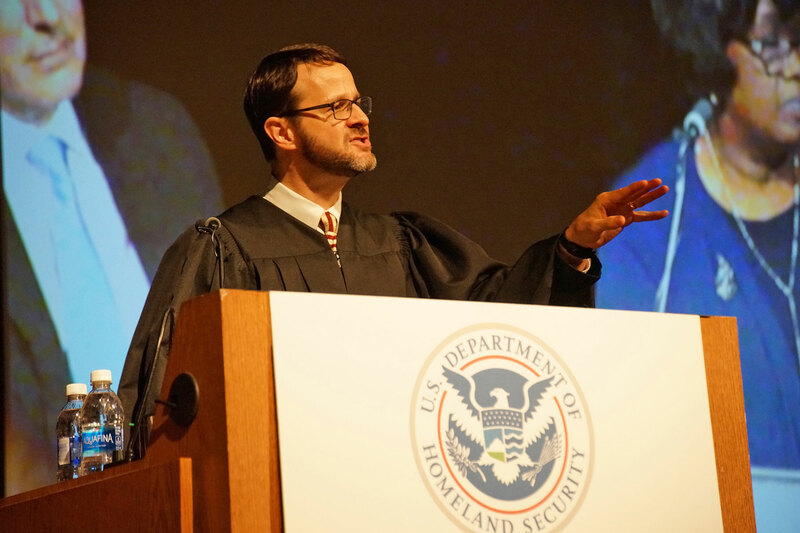 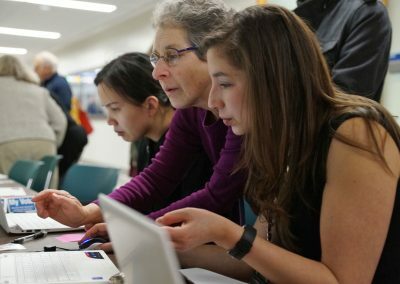 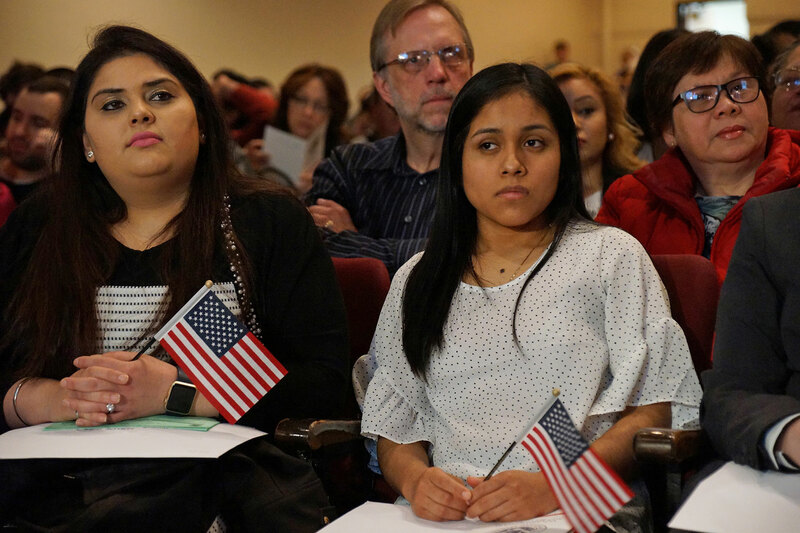 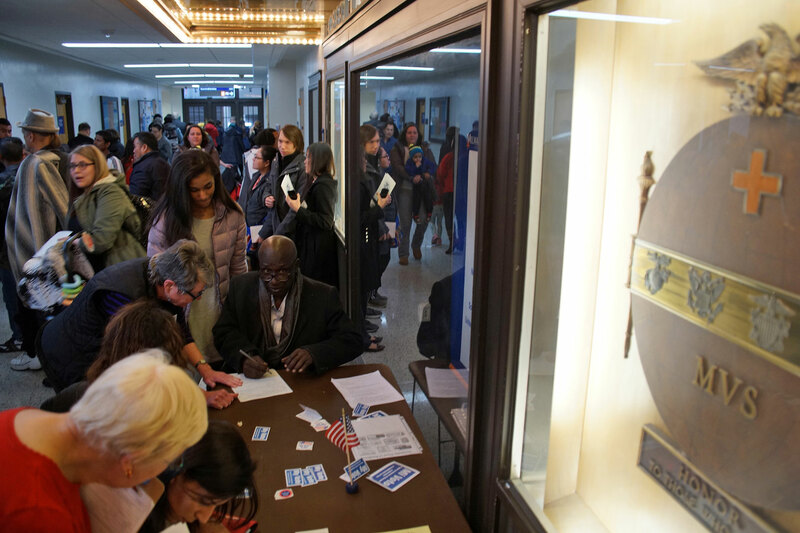 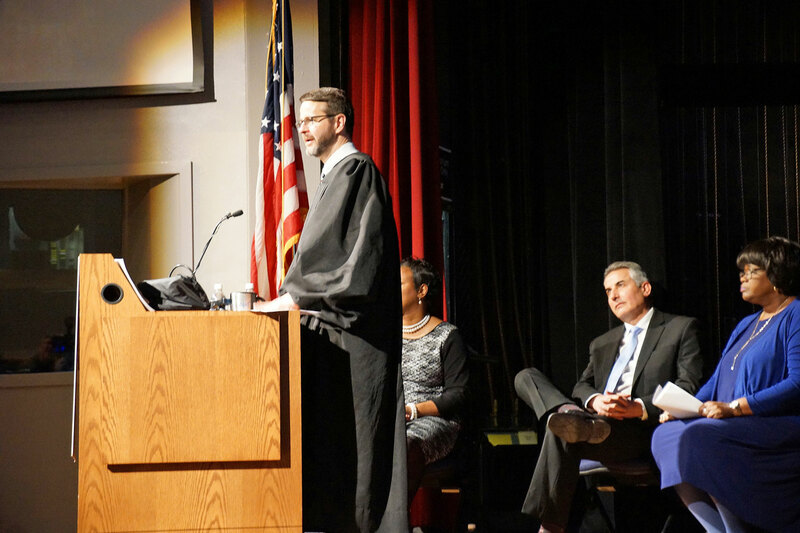 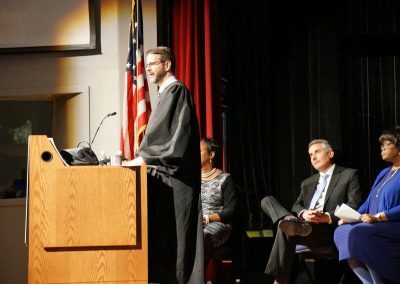 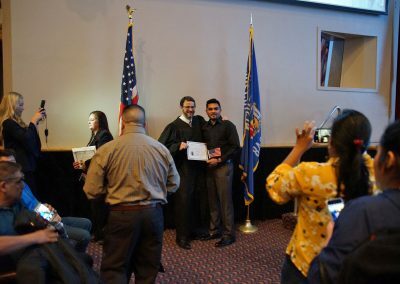 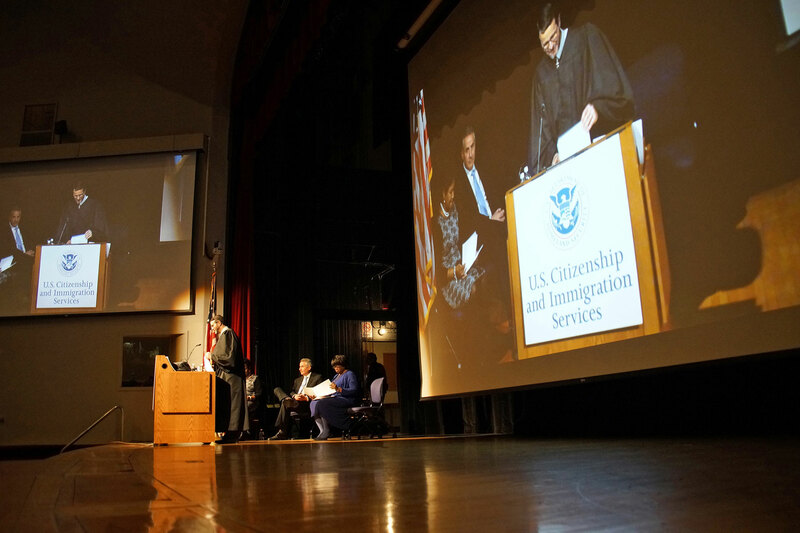 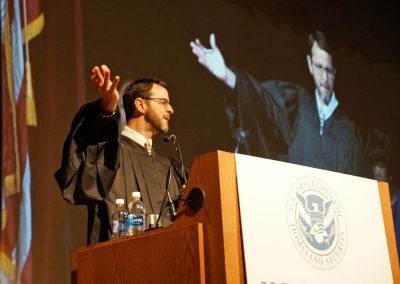 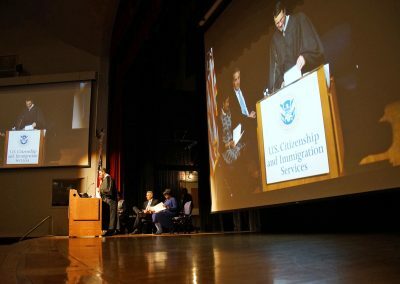 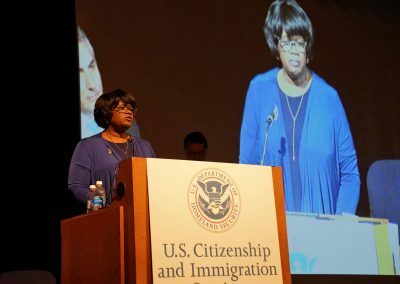 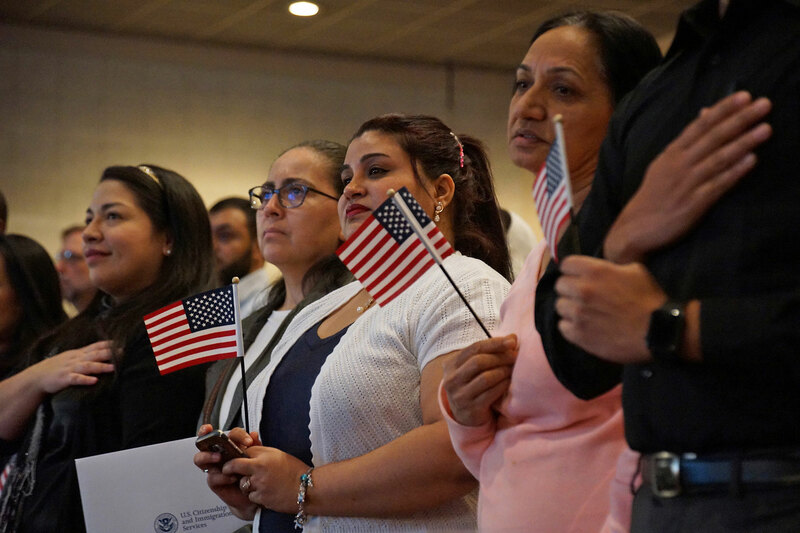 Citizenship and Immigration Services (USCIS) and the U.S. District Court for the Eastern District of Wisconsin hosted a special naturalization ceremony at the downtown campus of the Milwaukee Area Technical College (MATC) on March 8. 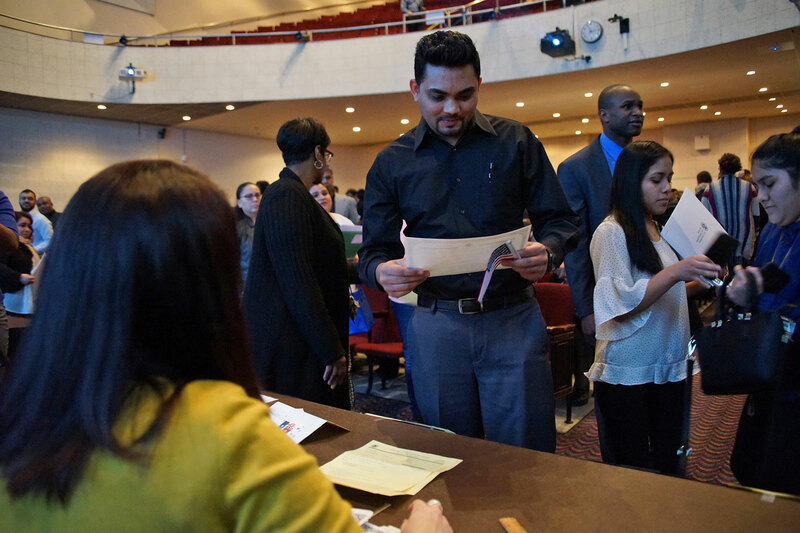 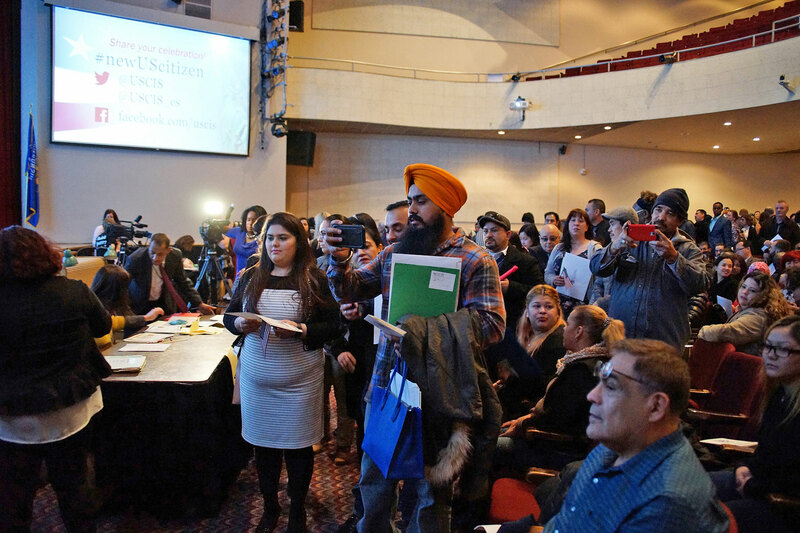 A total of 129 applicants were welcomed as new American citizens during the ceremony. 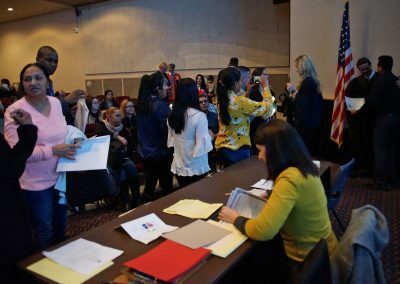 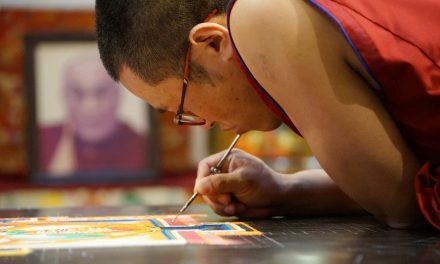 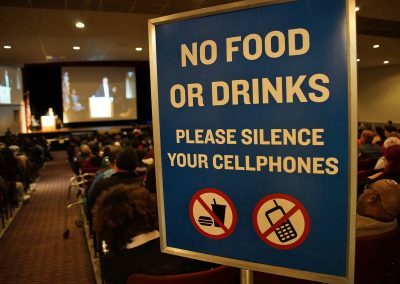 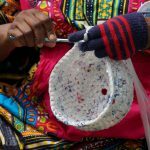 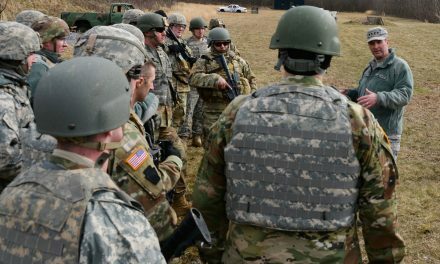 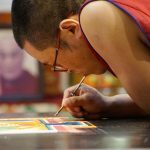 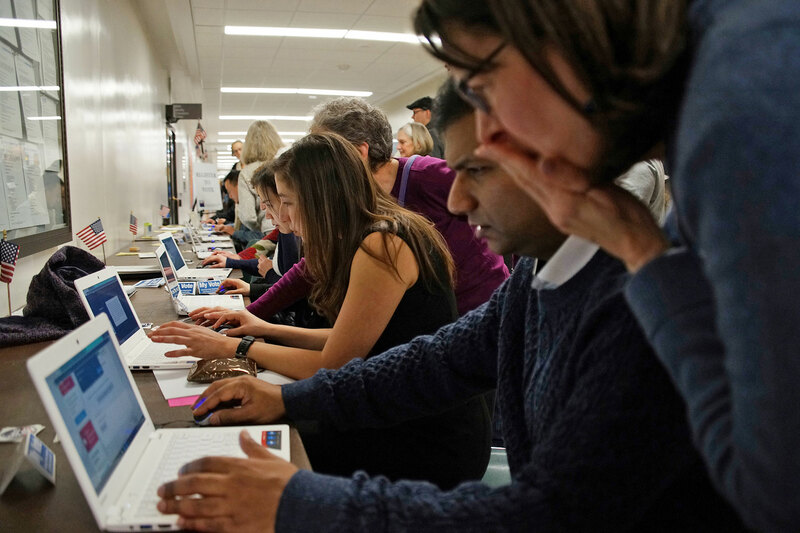 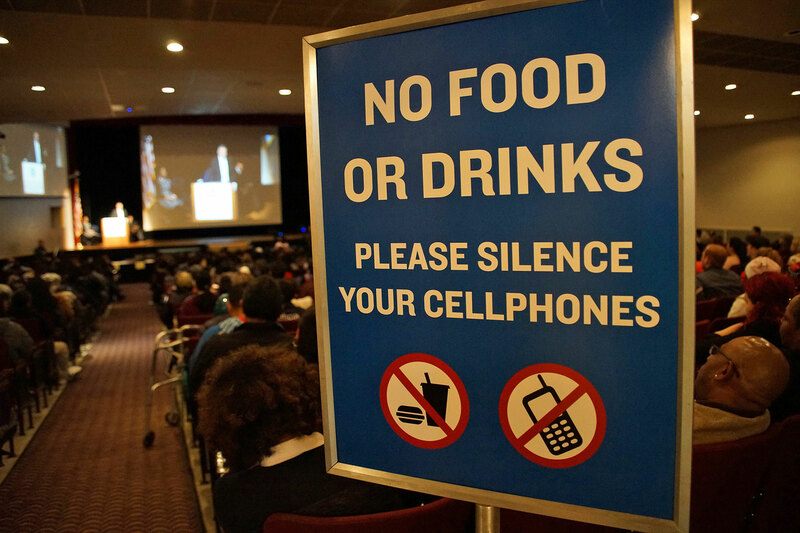 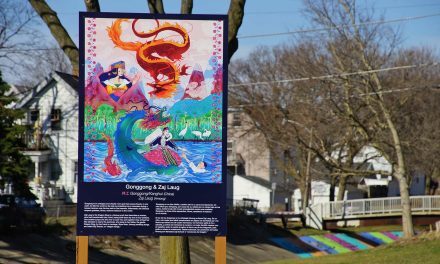 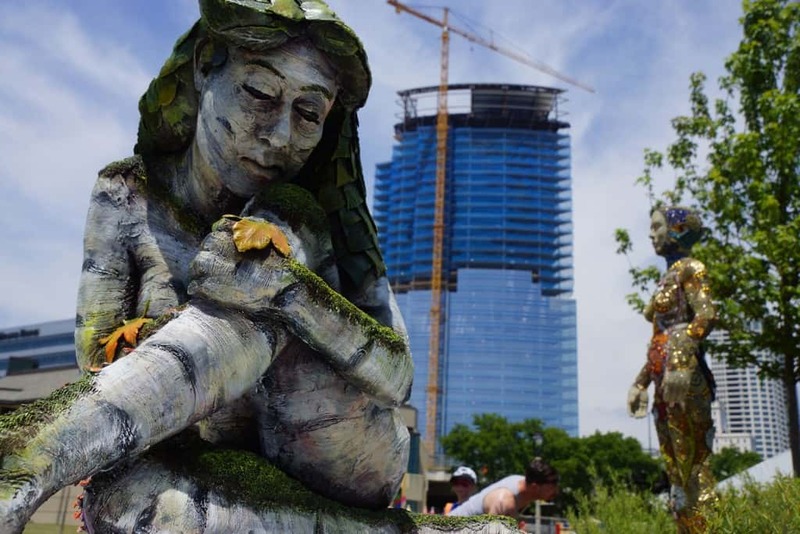 The participants represented 44 countries, including Afghanistan, Albania, Brazil, Canada, China, Egypt, Ethiopia, India, Iran, Iraq, Israeli, Jordan, Nigeria, Pakistan, Philippines, Romania, Russia, Somalia, Spain, Taiwan, Yugoslavia, and Vietnam. 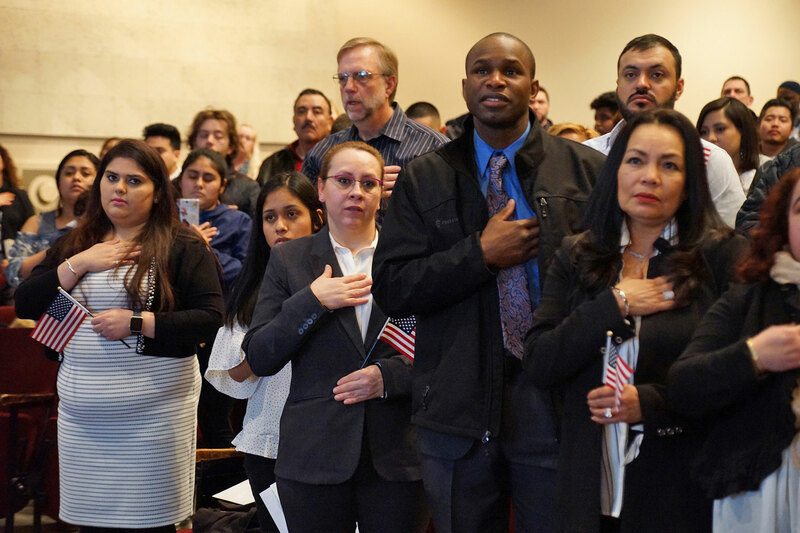 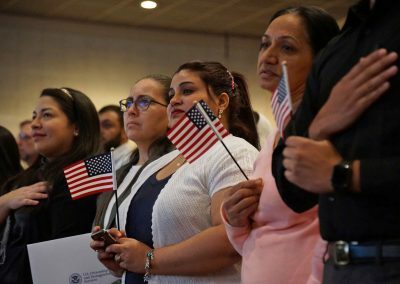 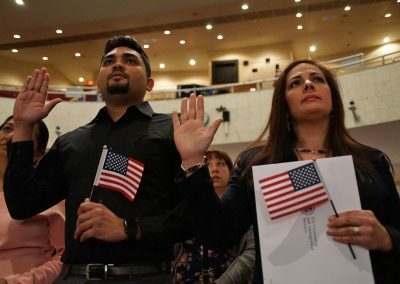 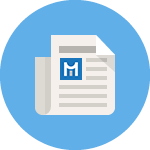 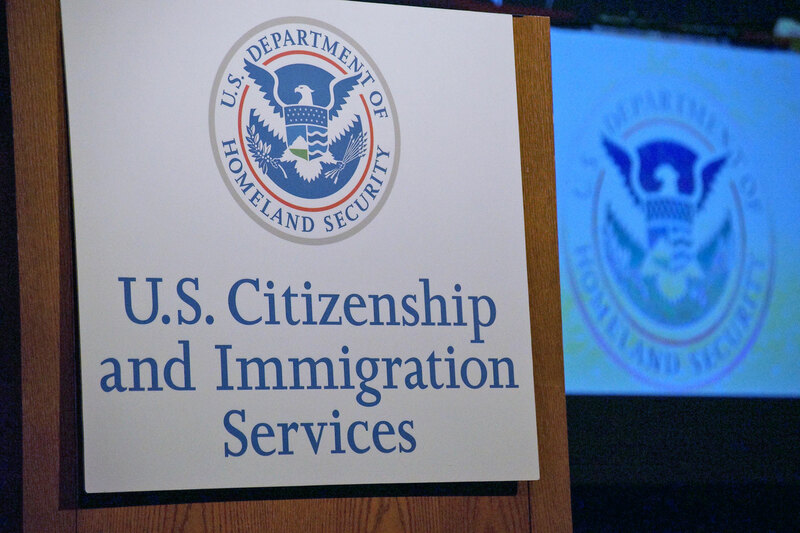 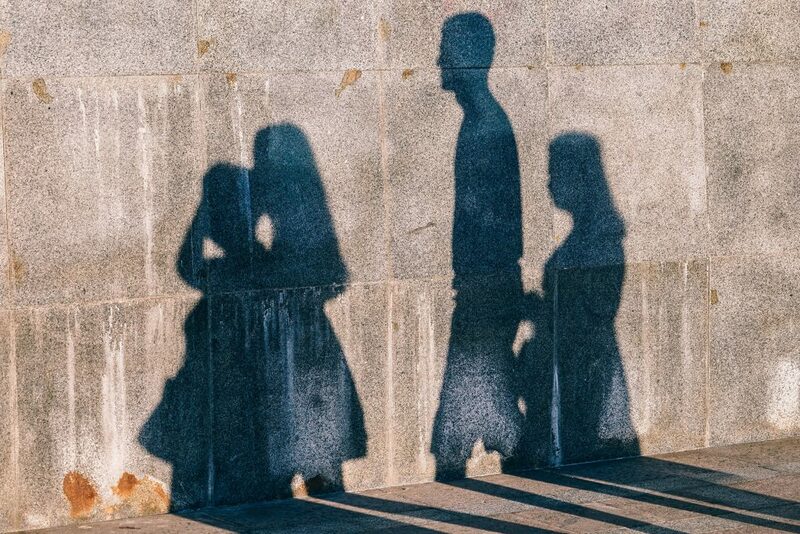 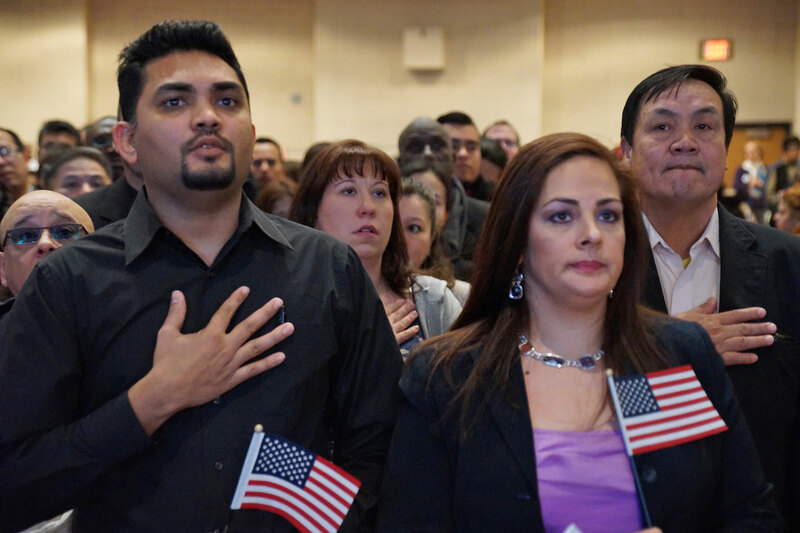 Naturalization is the process by which U.S. citizenship is conferred upon a foreign citizen after the individual fulfills the requirements established by Congress in the Immigration and Nationality Act (INA). 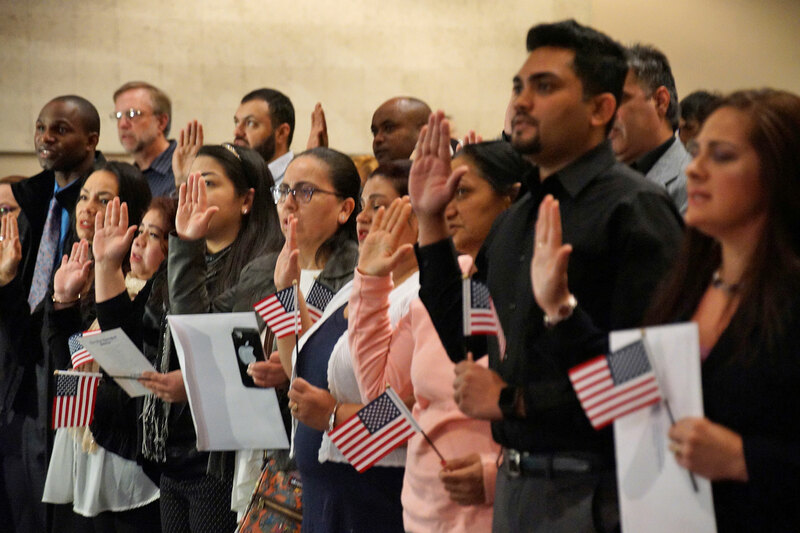 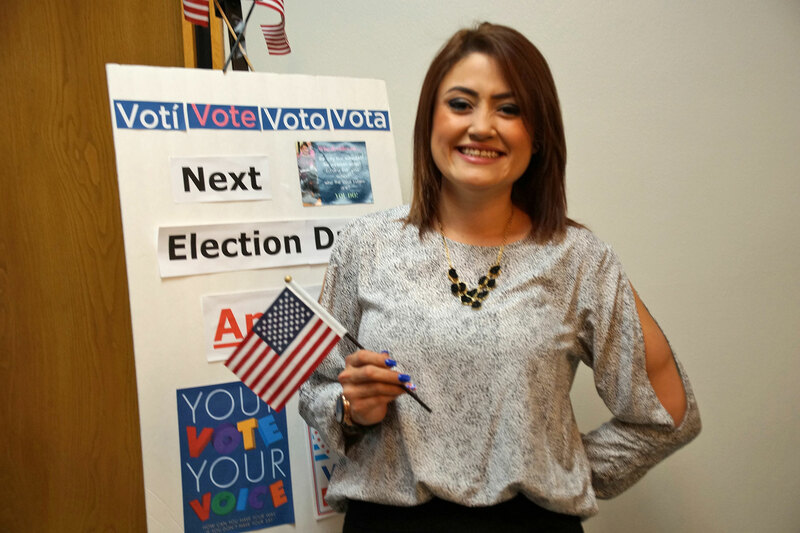 The process for becoming a U.S. citizen is not complete until the Oath of Allegiance is taken at the naturalization ceremony. 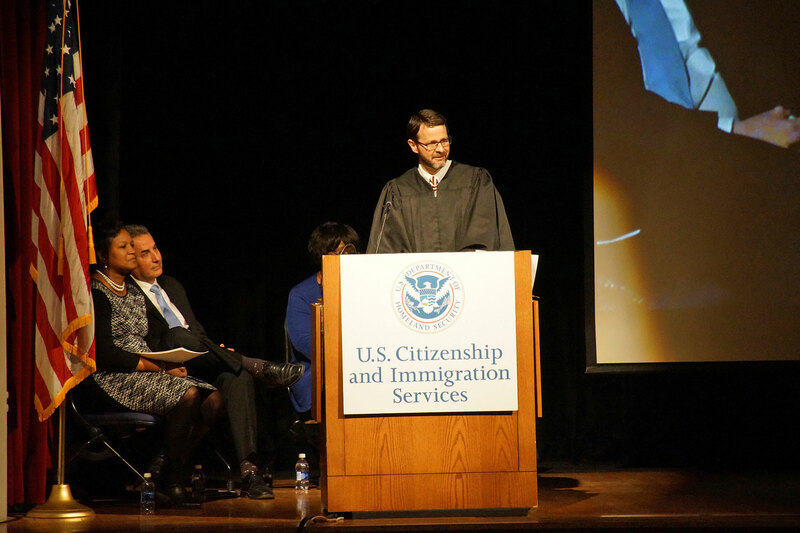 Magistrate Judge David E. Jones presided over the ceremony and administered the oath at the event. 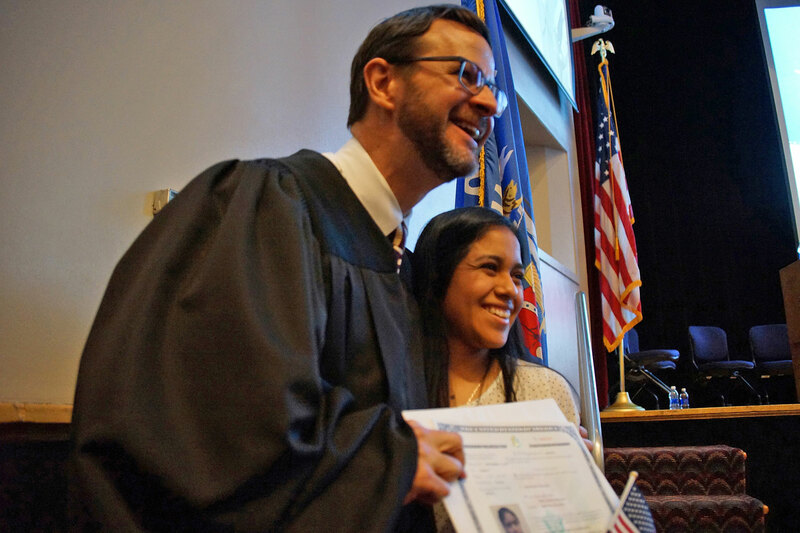 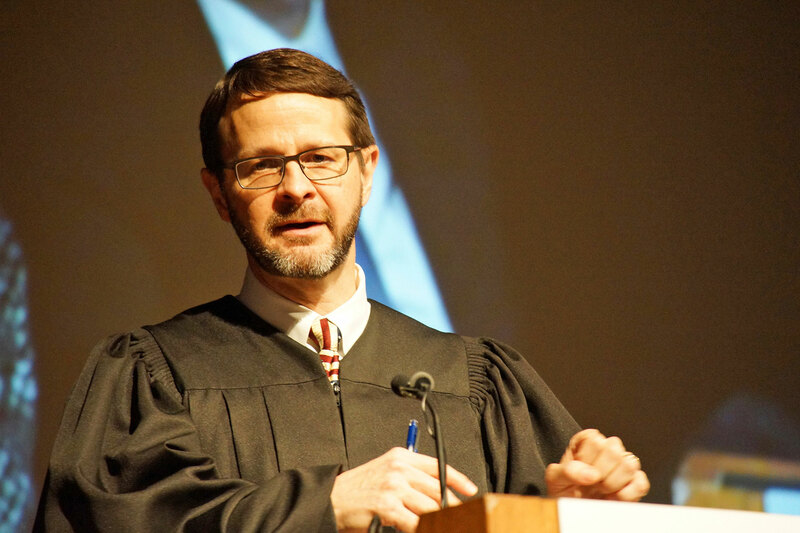 Judge Jones talked about the meaning of oath, renouncing allegiance to a foreign sovereignty. 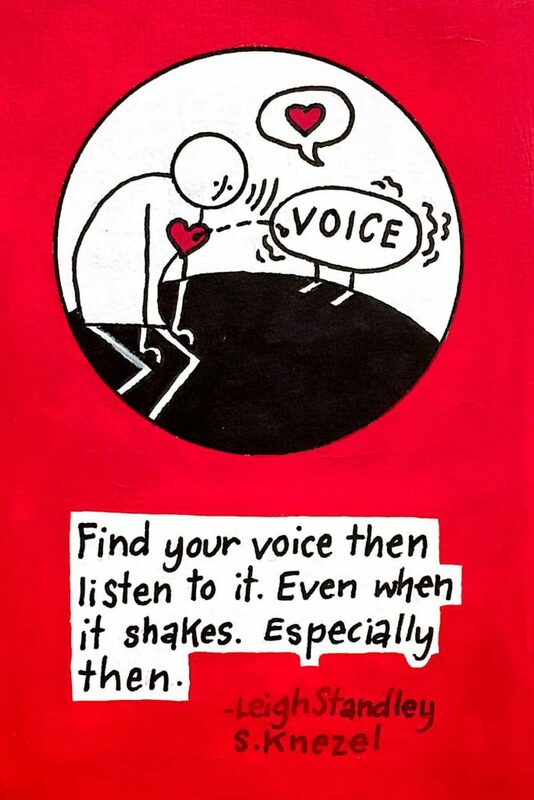 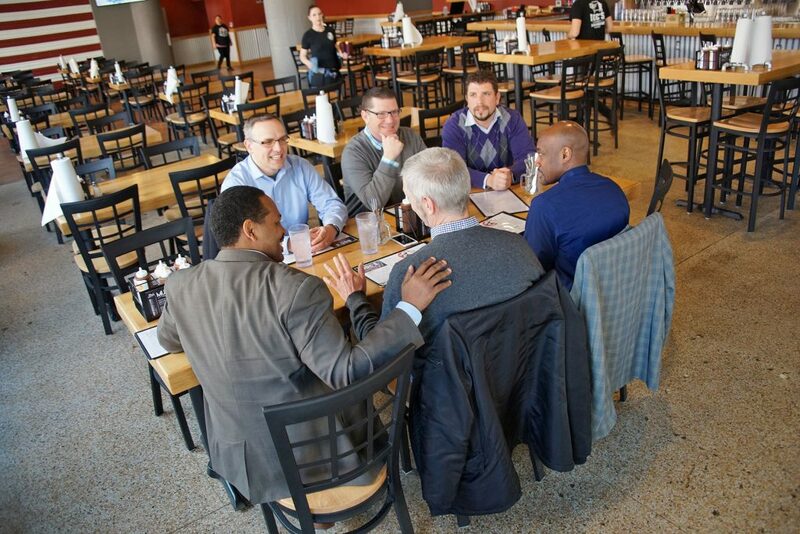 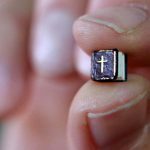 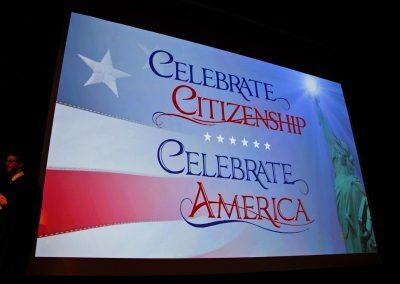 It did not include renouncing allegiance or obligations to family, customs, religion, traditions, language, or foods. 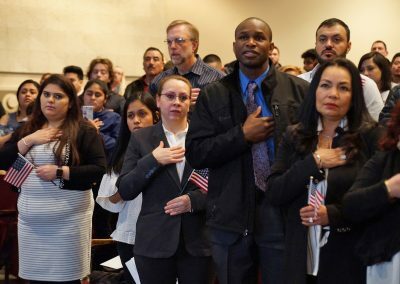 America became great by adding people who brought all of those differences. 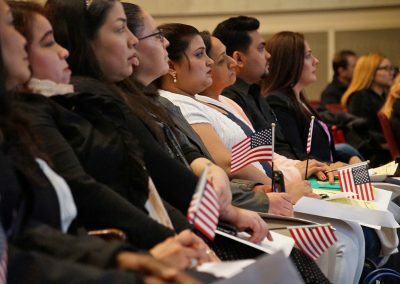 One of the first laws from the first Congress of the United States was the Naturalization Act of 1790, written a year after Constitution. 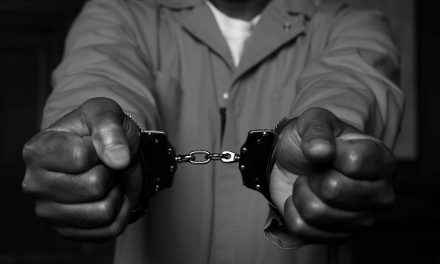 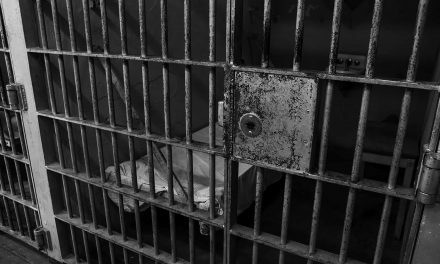 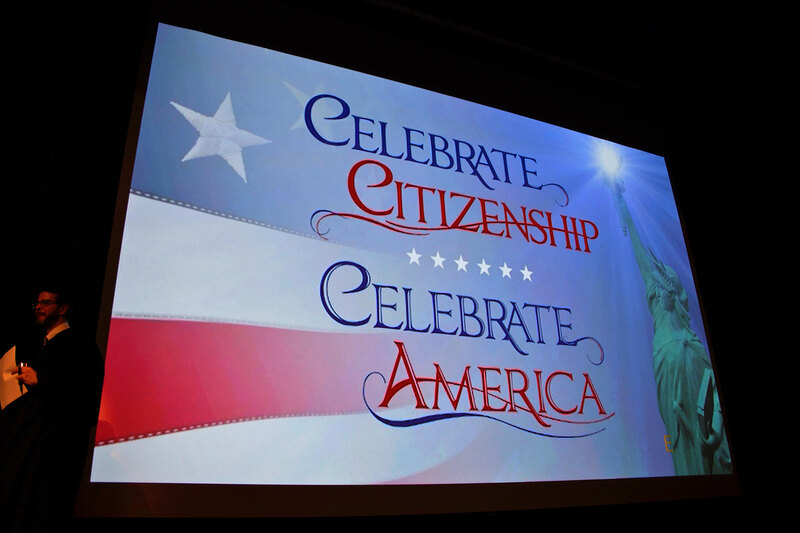 Legend has it that the law was drafted by Thomas Jefferson, who helped write the Declaration of Independence. 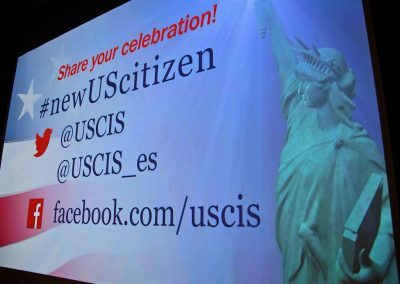 In that document, one of its complaints with Great Britain was its interference with States nationalizing new citizens. 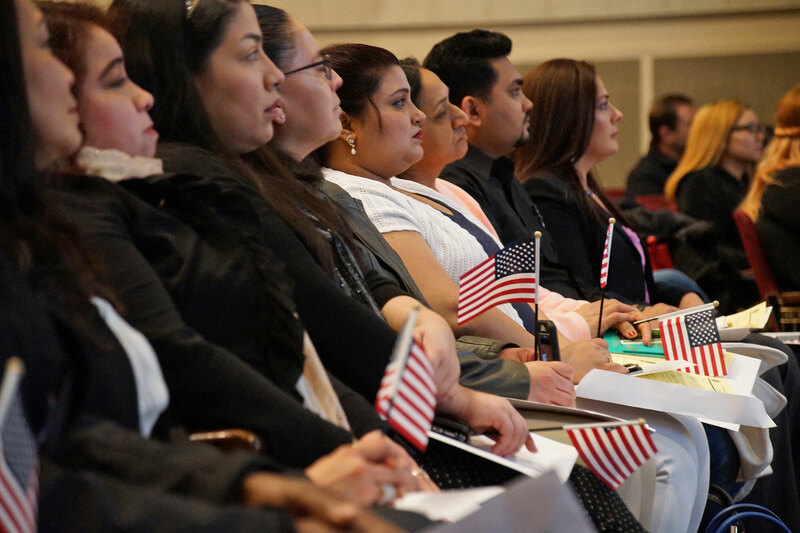 The law shows that founding fathers knew naturalization would be a critical pathway to ensure the vitality of the American experiment. 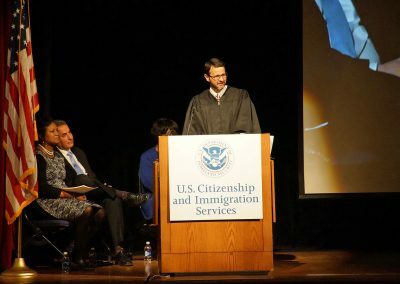 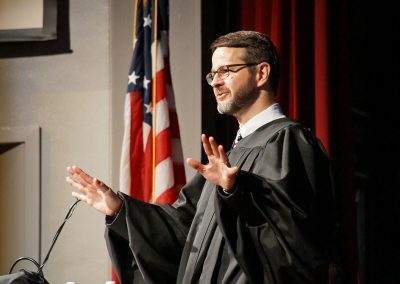 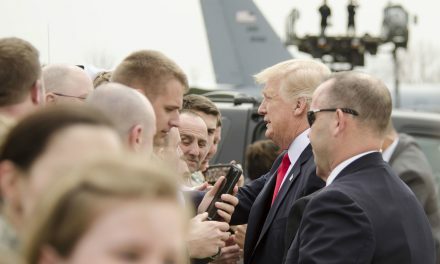 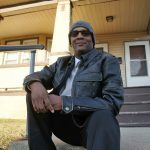 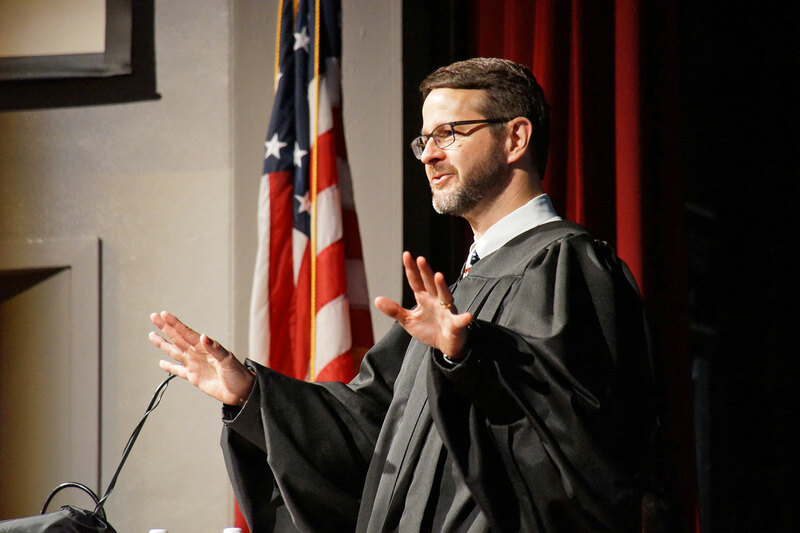 The audio was recorded live during the ceremony, and features an edited version of the address and after-oath remarks given by Judge Jones. 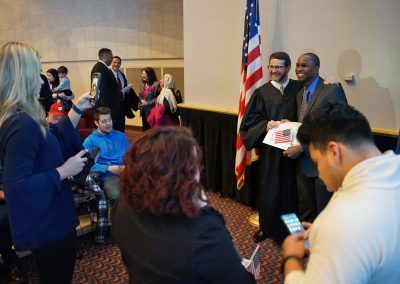 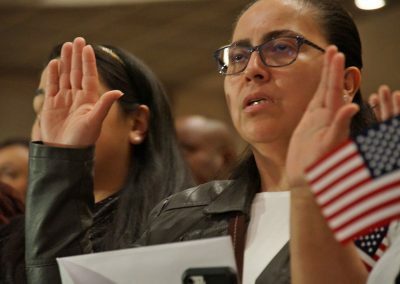 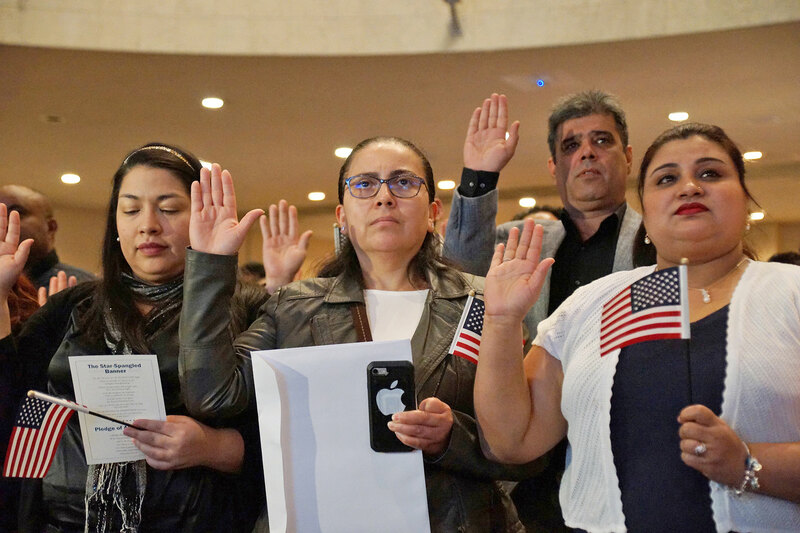 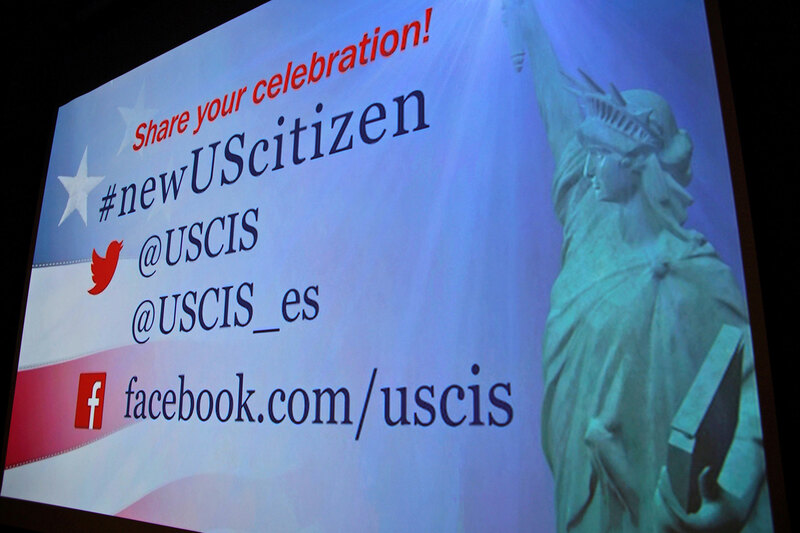 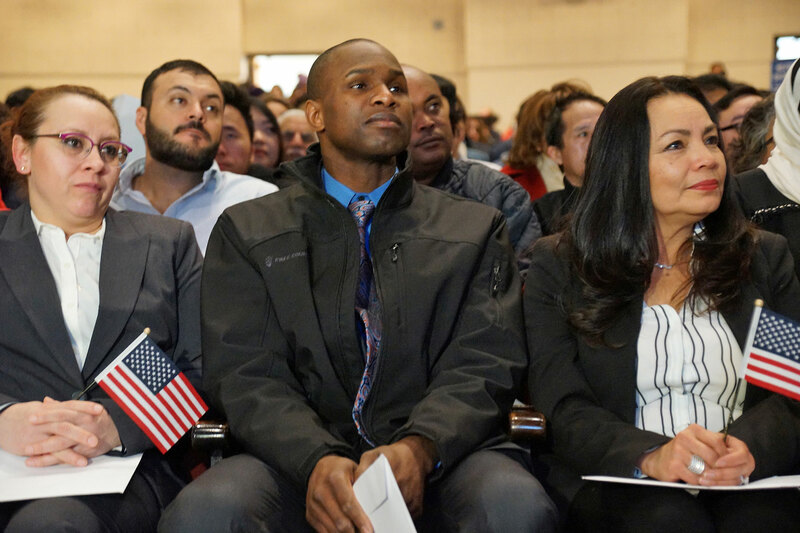 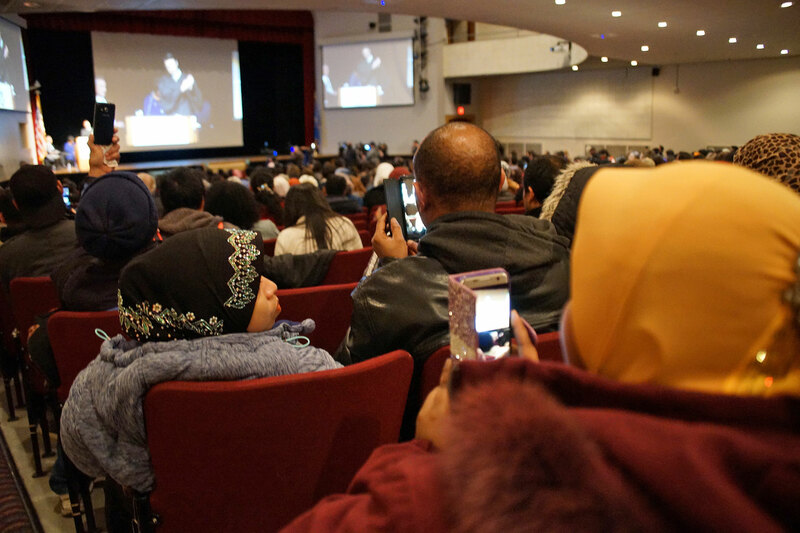 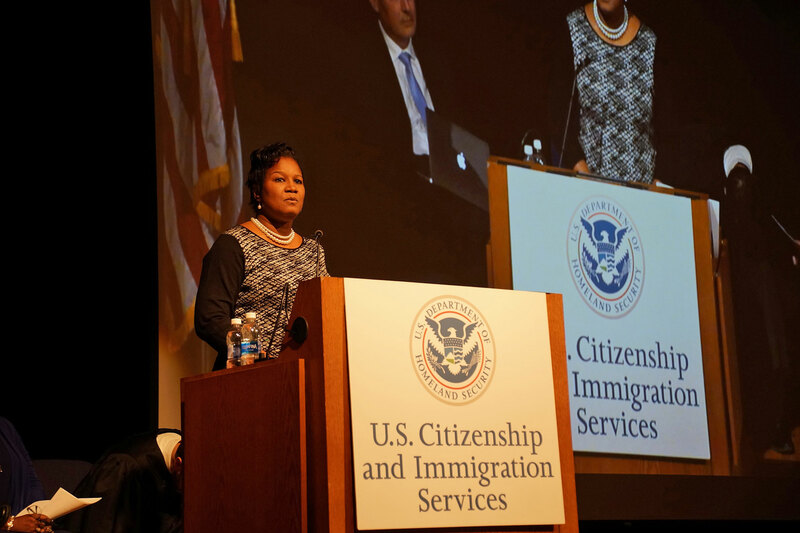 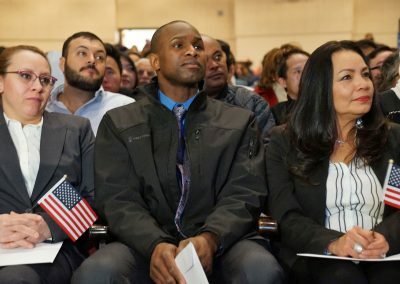 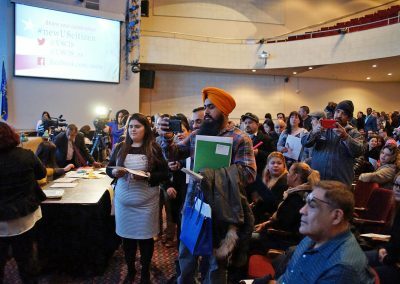 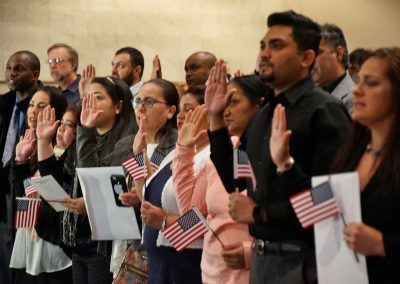 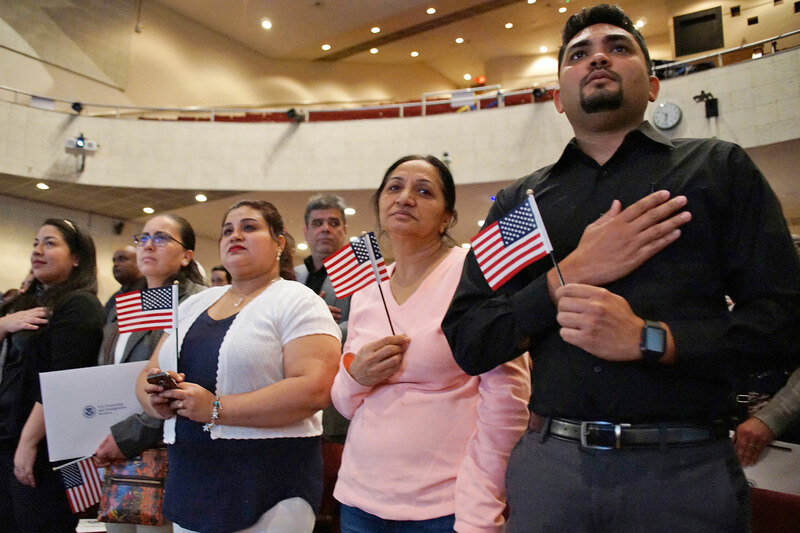 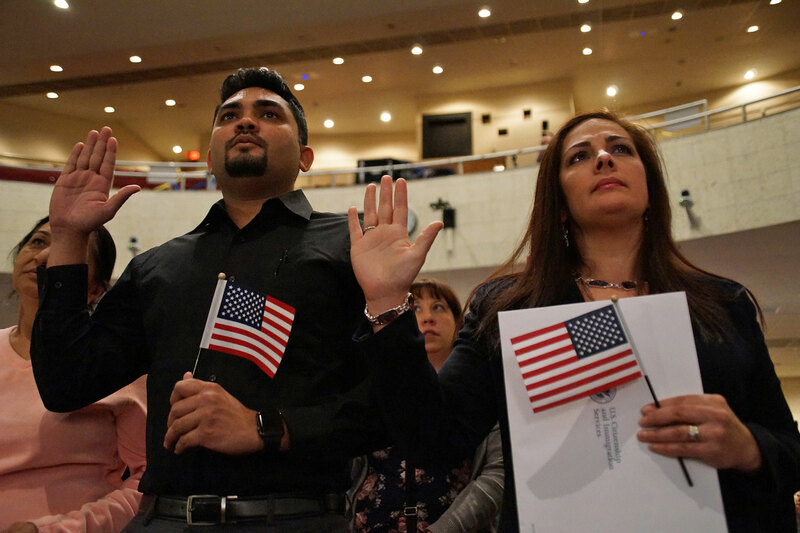 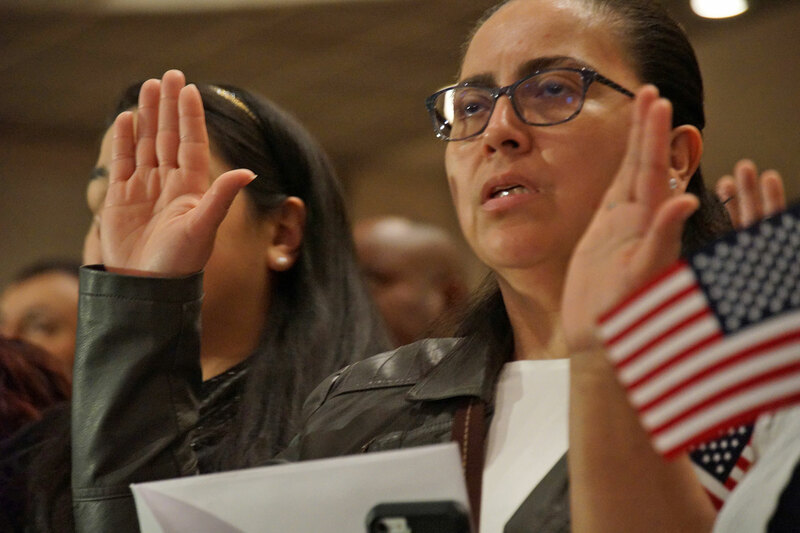 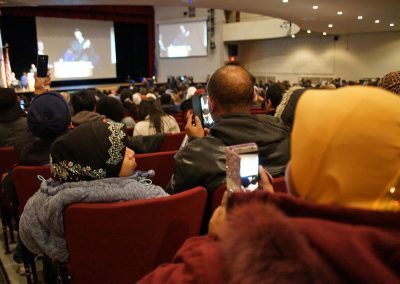 The images captures some of the highlights and excitement at the event, as the collection of diverse individuals became America’s newest citizens.